This photo was taken near Ponce in 1938. The sugar cane centrales owned the entire railroad system of Puerto Rico, which encircled the island’s coastline. 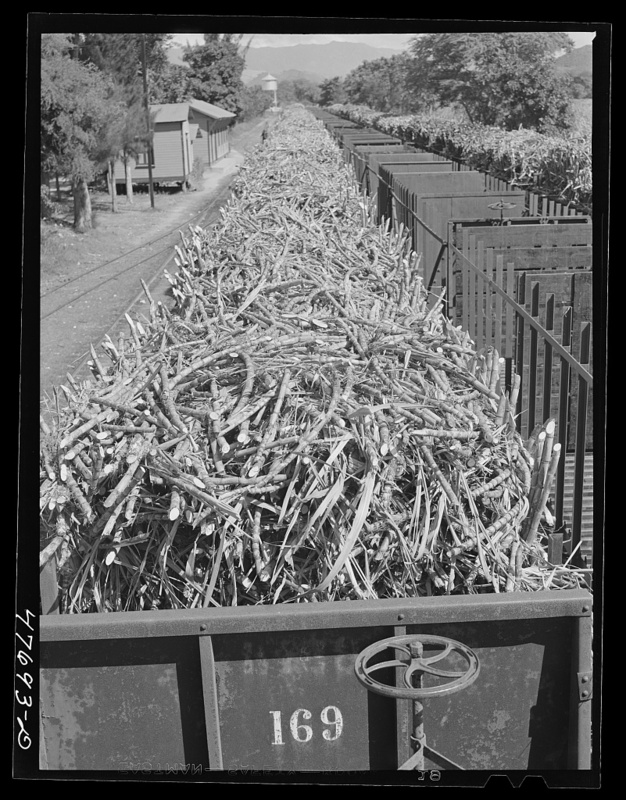 Sometimes, the sugar cane trains seemed to stretch into eternity. But yet how beautiful are her deep green mountains and coral beaches. I remember them … even though I became aware of them as they were phasing out!